50 DAYS TO IFBB BELT & ROAD CHAMPIONSHIP, IN XI´AN (CHINA). 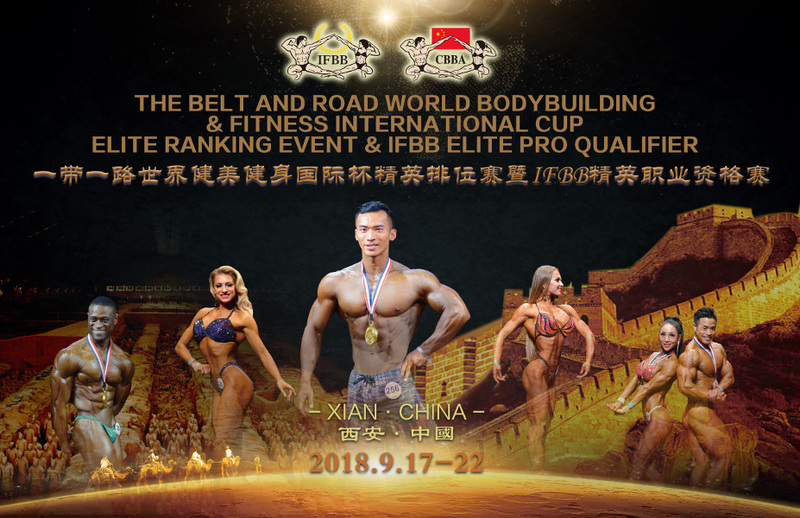 August is here and we are approaching one of the most challenging events of the year: the 2018 IFBB Belt & Road Championship that will be held in Xi´an, open to all the IFBB-affiliated National Federations worldwide. The historical city – UNESCO world heritage-, will host this international event, coming next September 17th to 20th, supported by the Chinese Government, the local authorities and the Chinese Bodybuilding Association (CBBA) led by Mr. Zhang Haifeng; with amazing price money awards: 80.000 $ for the best competitors from the IFBB planet. The 2018 IFBB Belt & Road Championship will have, as well, an amazing venue: the Nan Men Square; with a spectacular open ceremony, in front of the Shout Gate of the Xi´an ancient city wall. This gate knows as “eternal peace”, is only opened in very special circumstances, as it will be the championship. China and the CBBA will have during 2018 a solid and strong participation in the IFBB season, as more events will be held in the country, as the Elite Pro Championship that will be held in November, in Beijing; with 75.000 US$ in cash prizes. Picture: An historical event: the 2018 IFBB Belt & Road Bodybuilding & Fitness Championships.